At Educon this weekend, librarians Joyce Kasman Valenza, Gwyneth A. Jones, and Shannon McClintock Millerare discussed the future of student inquiry. Their Saturday discussion centered around how student inquiry has changed and how the role of the teacher-librarian has shifted from one who gathers, stores, and indexes resources to a educator and collaborator who helps students ethically and effectively filter, evaluate, and use information and then do something with it, ideally to communicate in powerful ways with authentic audience. Read and share: See Sally Research! by opening the word document. This is a worthwhile read for educators to learn how the world of student library research has evolved over the past 15 years. This work is licensed under a Creative Commons Attribution-Noncommercial-Share Alike 3.0 and will be published in: What School Admins Need to Know About Digital Tech and Social Media. Chris Lehmann and Scott McLeod, eds. Jossey-Bass/Wiley. 2011. Share this with your administrators so they can truly understand how the librarian is an even more critical player in new learning landscapes where information and communication options continually shift. Here is my presentation on Developing Personal Learning Networks with Social Media. I used PREZI software, a free web 2.0 tool. Do you know about Google Moderator? Check out this handy tool for extension of classroom discussion. It seems quite easy to set up. I asked the creator, Mark Wagner, Ph.D, what software he used to create the tutorial and I hope he responds because it was quite good. PBS Teachers has been asked to solicit questions from teachers about the education issues addressed in the recent State of the Union Address. A sampling of popular questions will then be posed to Secretary of Education, Arne Duncan during the livestreamed Education Roundtable event on January 27th at 3:15pm EST. Submissions and voting for questions will close at 12pm on Thursday, January 27th. Watch LiveStreaming on Thursday, Jan. 27 from 2:15 to 3 CST. Notice at the end of each blog post, you can look to the bottom left and PRINT PDF. I have installed this widget right into the Blogger template. It's a very handy tool and easier to use than the Adobe feature "print to pdf". 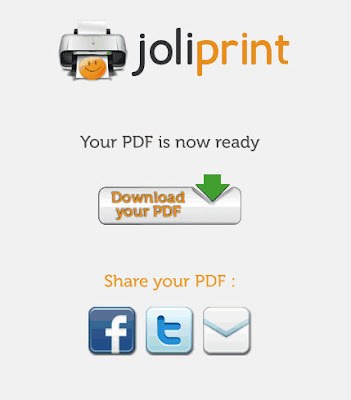 Add the Joliprint bookmarklet to your browser's favorites bar, and make any webpage Joliprint ready. The interactive version (uses Flash) compares states to countries for both GDP (Gross Domestic Product -- or value of goods and services produced in a year) and population.... so did you know that if a GDP was calculated for Illinois it would be about $630.4 billion or slightly more than Turkey's ($614.5 bn)? As to population, Illinois has 12.83 million people, just less than Mali at 13.67 million. Each state is shown and some interesting comparisons occur. Fifty Years ago today, President John F. Kennedy gave his Inaugural Address. For more resources, visit the John F. Kennedy Presidential Library and Museum which recently opened an expanded Digital Archive for scholars. Have you tried the relatively new search engine DuckDuckGo? Useful box above the links. Special searches, !bangs & settings. • Less spam and clutter - no useless sites with just ads. You can make DuckDuckGo your default search engine through the Chrome browser. Last month the Federal Trade Commission called for a "Do Not Track" mechanism that would enable the public to opt out of being tracked around the web. Chicago Books to Women in Prison is a volunteer collective working to distribute books free of charge to women in prison nationwide. They are "dedicated to offering women behind bars the opportunity for self-empowerment, education, and entertainment that reading provides". Prison libraries tend to be pretty dismal with little if any funding. Donations improve the lives of women prisoners significantly. They only take paperback book donations. Good fiction is appreciated. Also consider: Self-Help, Recovery/Addiction, Meditation/Yoga, Daily Affirmations, Spiritual/Religion, Parenting, Dictionaries, Soft cover journals (blank), African-American fiction, Chicano fiction or, Latin American history and culture. See a librarian for drop off location at Winnetka Campus. Do you have a presentation in which you only want to show a minute of a much longer video? A new tool in beta has just the solution for you. This tool would also work well for those film makers making mashups or video collages. And they are crowdsourcing the snips so that you can search for those video snips most watched and favorited. Set the start and ending times. & snipped link will pop up below. please use your Firefox or Chrome browser. 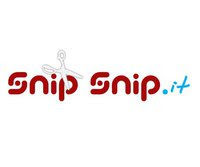 Happy Snipping! Below I am embedding a 30 second clip of Iraq War Footage from a Fallujah battle. Had a bit of trouble with the embed code and manually ended the "clip timing" in the code...but other than that, it works great. The Prezi Community has been begging for an iPad version. Prezi has now released its fabulous presentation software for the iPad tablet. iPad doesn’t support Flash, so not all existing presentations can be viewed in full if they contain Flash material such as videos. Prezi for the iPad app allows you to show prezis that were previously created on your computer. The app does not have editor features. YouTube videos, PDF and SWF files does not work in the current version of Prezi for the iPad. When you open a prezi for the first time on your iPad, it can take a while to load depending on the size of your prezi. Even big prezis load super quick for the second run. The votes are in for the 4th annual Mashable Awards, highlighting the very best of tech and the web. This is a good time to re-think some of the tools I use regularly such as Tweetdeck. Best Social Media Management Tool: Hootsuite (how can I resist experimenting with that?) Many of the people I follow send their tweets from this platform which manages five networks for free simultaneously. Best New Gadget: iPad -- hard to believe it's less than a year old! Do read all the way to the bottom of these impressive winners because just to read the corporate sponsorship of Mashable is fun in itself! Here you will read about the top 3 winners of each category. I loved viewing Mr. Robbo, the P.E. Geek's blog which rocks...I was especially interested in postings about mobile apps and one about mobile phone use in the classroom. Great stuff here. There are so many more that it makes my head spin. What I would like to do is spend some time (in our session January 11th) exploring these Edublog winners sites. 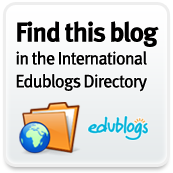 Another great new program in professional development for educators – something the Edublogs team has named ‘Teacher Challenges’-- are new free online online trainings to model how blogs can be used as effective and collaborative learning tools. The first challenge starts next week January 10th! How's that for just-in-time learning? The first topic will be “30 days to kickstart your blogging” and will cover topics such as writing effective blogs posts, embedding media, and building readership. Let's learn together at AM Exchange.